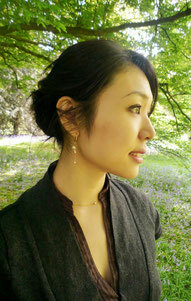 Born in Tokyo, Japan, Ayako spent most of her pre-teen and teenage years dancing ballet. Her passion in dance was transformed into writing, and she obtained M.A. in Interdisciplinary Cultural Studies, The University of Tokyo, by writing a thesis about Nijinsky's dance score. She moved to London in 2007 and obtained M.A. in Cultural Policy and Management, City University London. She regularly writes about dance, which appears on official theatre magazines and websites. Her other passion is transcreation, which is creative translation more relevant/appealing to the target market. She has translated many headlines and marketing copy for various brands.